Arthur Mallock (1918-1993) was an English engineer and race-car manufacturer best known for “making incredibly simple cars go incredibly quickly”, so said Piers Courage (F1 driver of late 1960’s and early 1970’s). Described as “the man most responsible for making motor racing accessible to the man in the street” by Paul Lawrence (who subsequently wrote the book “The Lone Furrow”) His Mallock U2 racing cars have provided, affordable, accessible and competitive racing cars and a bedrock to British motorsport since the late 1950’s which continue to win in both historic and contemporary motorsport events today. As well as his prolific contribution to grass roots motorsport, Arthur had a less well known, somewhat secretive career in the world of electronics both for the Army and Her Majesty’s Government, which he only retired from in 1980 when he was 62. Major Arthur Moeran Raymond Mallock, Royal Signals, MIEE, C.ENG was born in Brighton on 1 March and died on 2 December 1993. He was educated at Canford School in Dorset and joined the Forces in 1936, completing his Officer training at the Royal Military Academy at Woolwich. Initially in the Royal Signals, he was seconded to the RAF during WWII, returning to the Royal Signals after the war, where he rose to the rank of Major. Arthur used his skiing skills to train a special ski regiment during the war. 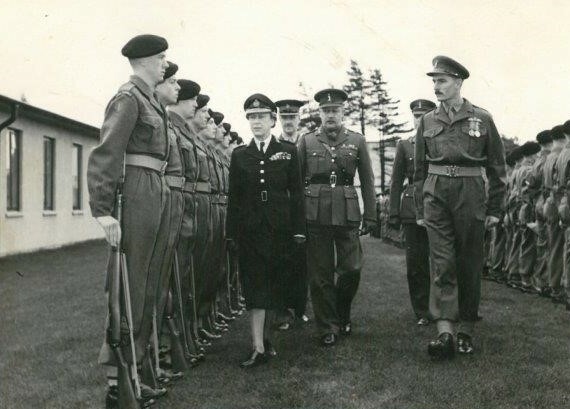 In 1950 Arthur was transferred to the Signals Research and Development Establishment (SRDE) in Christchurch where he designed and developed military and government communication systems. Arthur retired from the Army in 1958. He then took up a civil servant post again designing and developing electronic systems at Hanslope Park, Buckinghamshire, the headquarters of Her Majesty’s Government Communications Centre (HMGCC). Arthur retired from HMGCC in 1980. Arthur’s work at SRDE and HMGCC was covered by the official secrets act so none of his work whilst at these establishments is in the public domain. Prescott 1948. Note the regulations said nothing about spare tyre and tube. As Arthur would often say "the competition begins once the regulations are published"
Arthur began building his first special when a young teenager and bought his first Austin 7 at 17 in 1936, so beginning his association with the vehicle that literally provided the building blocks for the 750 Motor Club. The 750MC, of which he was a founder member, was formed in 1939, also the year in which Arthur competed in his first car competition, when he drove his Austin Seven special in the Hartlepool Speed Trial, a standing ¼ mile sprint along Hartlepool seafront. Whilst the war brought most forms of official motorsport to a halt, the 750MC members continued to meet to discuss ideas. But it was after the war that the melting pot of the 750MC enabled grass roots motorsport engineering and ingenuity to take off. In 1939 Arthur began constructing his first trials special based on a 1932 Austin Seven van, which he got running just before the War but only managed a couple of events before the conflict bought motor sport to an end. While serving in the forces, Arthur developed his special registration number EPG171, into a respectable machine nicknamed "Bren", after the gun. "Bren" had independent front suspension and motorcycle tyres, designed to dig through the mud in search of grip. Mallock’s car was one of only two to clean the hill at the Full Moon Trial in January 1946. Arthur got a first class award on the event and further success followed during the season but Arthur decided that he needed more power and less weight and a car that he could use for speed events as well as trials. Arthur was a prodigious contributor to the 750MC through his talks on the subjects of chassis and suspension design and competition car handling, usually at the club’s London Special Builders Group. As David Morgan of the 750 MC said “He was very good at explaining what was going on with the car and suspension and was patient and generous with his time when answering questions often miles from home. What made it especially interesting was that he was achieving such great results with modest spec cars, so inspiring others and he embraced the wonderful ethos of sharing information with fellow amateur enthusiasts”. He wrote many articles on the same subjects for the 750 Bulletin and the 750MC publication, Design for Competition, a Special Builders Guide. His article entitled The Great Swing Axle Controversy for the Bulletin in 1959 is a good example and still passes the test of time. WJ1515 now as a trials car in about 1950. Other members and contributors to the 750MC at the time included Colin Chapman, founder of Lotus Cars, Eric Broadley, founder of Lola cars and Brian Hart founder of Hart Racing Engines. Whilst many of these luminaries went on to build commercial enterprises using their skills and reputation, Arthur’s focus remained the pursuit of maximising performance through simplicity and low cost whilst using fundamental engineering principles to back up his work. Arthur was a gifted mathematician and would never blindly follow fashion in motorsports engineering. Only if a concept was thoroughly proven by calculation would he consider it for one of his applications. Before the advent of practical computers, he would calculate roll centres and camber change characteristics by hand. None the less, he was one of the first designers to use computers for motorsport suspension geometry analysis. Aesthetics played no part in his designs, for Arthur, it was all about practicality, performance and low cost. His single-mindedness in these respects led to the title of Paul Lawrence’s book “The Lone Furrow” The Story of Arthur Mallock and his U2 cars. He was passionate about his subject and was always prepared to share his knowledge with other competitors whether they were driving one of his cars or not. 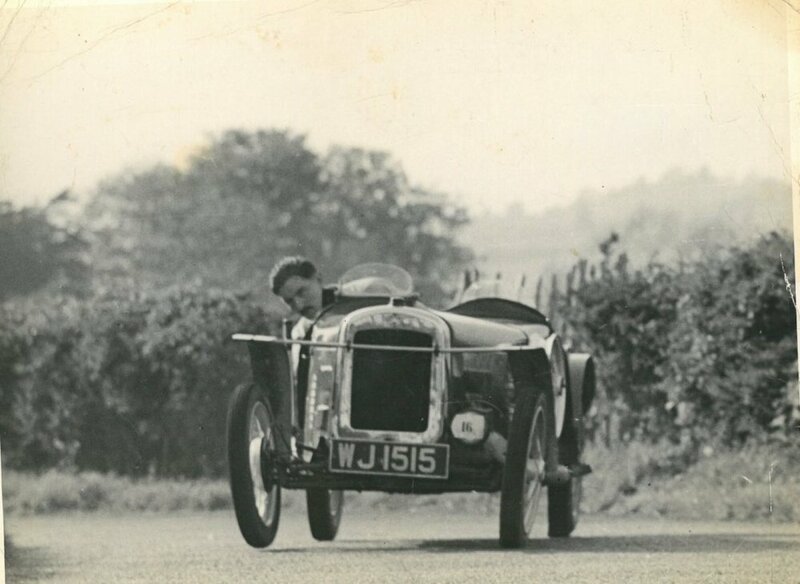 Between 1936 and 1958, Arthur used and developed a number of Austin 7 based “Specials”, his most famous having the registration number WJ1515, a car he ran between 1947 and 1958 as a trials car, circuit racer, and hill climb car in sports car trim and even as a single-seater in 1951 in 500cc Formula III with a JAP engine. WJ1515 now with spaceframe chassis - the first U2. By the late 1950’s, motorsport was still very much a rich man’s sport but with his U2 chassis, Arthur created a way for the impecunious to get into the sport with a car that provided excellent handling and high power-to-weight ratio and would also enable its owner to learn and incorporate their own ideas into the car. U2-1 was Arthur’s first full space frame design, it made its debut at the Silverstone 8 Clubs meeting on 7th June 1958. Using the mechanical parts from WJ1515, the Austin 7 special he had used in a variety of configurations between 1947 and 1957, the car was immediately 4 seconds a lap quicker than its predecessor, proving the worth of the new chassis design. Arthur began selling replica chassis of U2 MK1 in 1958. He called it U2 after the Charles Atlas body building advertising tag line of “You too can have a body like mine”. His concept was to create a very stiff, lightweight space-frame chassis to which customers could fit their own standard components. 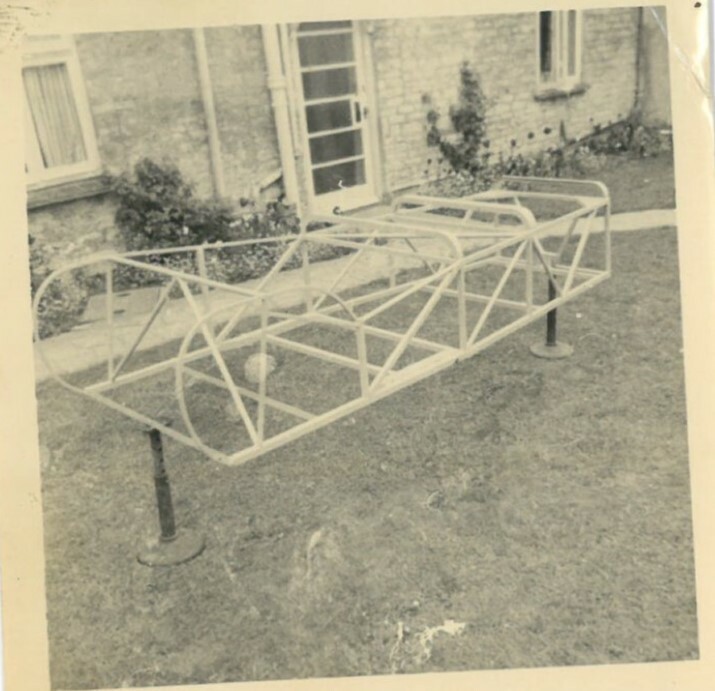 They were able to arrive at the Mallock family home at Roade, Northants, pay £48.10s for the U2 chassis and then build their own car from there. His very efficient design provided a sophisticated chassis and very effective suspension concept to be married to cheap mass produced parts which the owner themselves could source. Mk 2 customer chassis £48.10s in 1960. Arthur was a master at identifying where easily available low cost parts, very often from a scrap yard, could be adapted for effective use on the U2. For example the rear axle, initially Austin 7 and from the MK2 onwards Morris Minor, the front axle initially from Ford Popular E93A split in two to become a swing axle and then from the MK7 onwards, the cars used Triumph Herald front axle and steering parts. The bodywork was very simple single curvature aluminium panels riveted directly onto the spaceframe so being a semi monocoque . 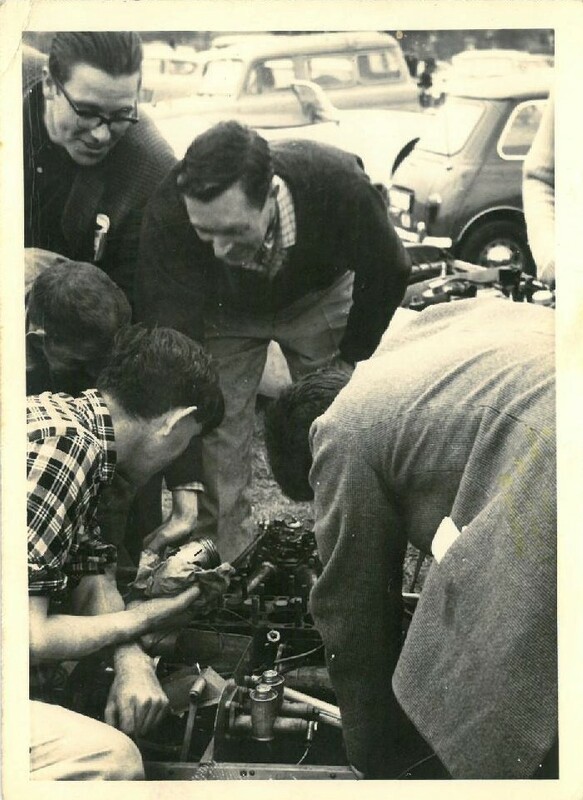 Customers were able to fit engines and gearboxes from a wide variety of donor cars ranging from the 1172cc Ford Popular, 100E, Ford Anglia 105E, BMC A Series, Ford Kent, BMC, Coventry Climax, Cosworth, Vauxhall, Mazda Rotary and various motorcycle engines. The most powerful engines were used in Speed Hill climbs where up 2.5 litre 350 hp engines were fitted and used to amazing effect. Arthur’s cars were very well suited to Speed Hill Climbs. The combination of a light weight, stiff chassis, and a rear suspension layout which gave superb traction made them ideal for this discipline of motorsport. British Hill climb Champions Chris Cramer, Alistair Douglas-Osbourne, Martyn Griffiths, Martin Bolsover, Charles Wardle, David Grace, Martin Groves and Andy Priaulx all cut their teeth with Arthur’s cars. The U2 chassis was incredibly versatile at 36” width, it was uniquely able to comply with both MSA and FIA single-seater and sportscar regulations. Hence customers could compete in both disciplines with the cars, sometimes moving from one category to another from one season to another but often by simply removing the mudguards, compete in both sports car and single-seater event on the same day. The dimension of 36” also allowed a sheet of 6’ x 3’ aircraft surplus Duralumin L72 sheet, (no surprise this was material used in the construction of Spitfires!) to be used with minimum waste to provide a very effective stress bearing under-tray. A total of 4 such sheets would be all that was needed to create the very simple single curvature stress bearing bodywork. Arthur would always seek out the lowest cost most fundamental way of doing things; for example his first U2 chassis were created by him setting out the major components on the workshop floor, i.e. front and rear suspension, engine, gearbox, steering, and finally him sitting in the imaginary cockpit. Chalk lines were then made and an initial lightweight tubular base-frame welded to the outline. This process continued with the ancillaries until the frame was complete. The torsional rigidity was then checked by supporting 2 opposite corners of the chassis on blocks with the third corner rigidly wedged against one of the workshop frame columns and the 4th corner being weighed down by one or 2 helpers, the deflection then being measured and calculated. Additional tubes were then added to achieve the triangulation and stiffness required. Only then were drawings made and from these drawings the first production chassis were fabricated. Arthur saw the sales of his chassis as a way of helping others get on track competitively at low cost whilst helping to subsidise his own racing. Certainly in the early years of customer sales, he didn’t try to develop the commercial opportunities in what was a rapidly developing industry. Arthur didn’t retire from his full time job as an electronics design and development engineer at HMGCC until he was 62in 1980. As Andrew Marriott said in his article for Motoring News about Arthur in 1967 titled “Thank U2 Very Much”. Simplastil 1959 (a very simple trials car) - note fiddle breaks. Arthur’s automotive interests were not confined to race and hill climb competitions. He was also a very successful Trials competitor with his Austin 7 specials and as ever was an innovator in this discipline as well. For example Arthur was the first to use “Fiddle brakes” at the rear. These allowed independent locking of the rear wheels to aid traction. Fiddle brakes have subsequently became universally used in trials competition ever since. Arthur also organised Trials events. The so called Silverstone Trial held at Tiffield near Towcester in 1962 and 1963 was set out and organised by Arthur. U2 Kart 1959 with a number of innovations. Arthur was also an early competitor and constructor in Go Karts in the UK in 1959. Again this vehicle had a number of innovations, including the drivers feet ahead of the front axle line, the engine and driver being offset to one another to create a shorter wheelbase and balanced weight distribution and a two pedal layout facilitated by a clutch lever integral with the gear lever. Apart from design, Arthur’s next priority was the set up in the workshop. He was one of the first to recognise the vital importance of corner weight set up and initially used bathroom scales under one wheel with wooden blocks of equal height on the other 3 for this. It was in the paddock at Monaco in 1964, when Arthur, using his trusty bathroom scales, helped a young Piers Courage get the corner weights sorted on his car. Piers has crashed his car and twisted chassis during qualifying for the F3 race in which he and Arthur were both competing. Arthur would have set up hundreds of Mallock cars over the years, either at the home at Roade, Northants, at the Mallock Racing works at Olney and later Salcey Forrest as well as at people’s own workshops, very often working with the owner late into the night or early morning to ensure the chassis could perform to its potential. This work would typically include bump-steer, static deflections, critical damping calculations and corner weights. These set ups were not confined to Mallock cars and would range from Stirling Moss’s Widi (For Stirling himself in 1988), Ferrari GTO and 250GT, Lister Jaguar, Maserati 250F,Lola and McLaren Can Am cars and Aston Martin DB4GT and DBR4. The handling and track performance of all of these cars would inevitably be much improved once Arthur had had a session in the workshop with them. Unfortunately typical paddock scene in 1960. Arthur was very much a chassis man and mostly he considered the engine to be a necessary evil. Certainly his early days were plagued by engine reliability and cost issues. For example during a 10 day period in 1960 in Formula Junior, his U2 suffered a series of three major blow-ups. Poor engine reliability constantly thwarted and frustrated Arthur’s FJ results. This was one of the reasons he was such a champion of standard specification production engines in motorsport where a level playing field, low-cost and reliability could be accessed by all. One of the first series to adopt this was Formula Ford with the blueprinted Kent engine and it is no coincidence that it was in Formula Ford that Arthur’s single-seaters had their best showing with Richards U2 MK7 being one of the most successful Formula Ford cars in 1968, only Tim Schenkens “Magic Meryln” had more wins that year. In 1971, Richard’s U2 MK9 scored nine wins and three lap records in the hotly contested 1971 UK season. With the first U2, Arthur won the Ford Championship of Ireland along with a number of other 1172 events. 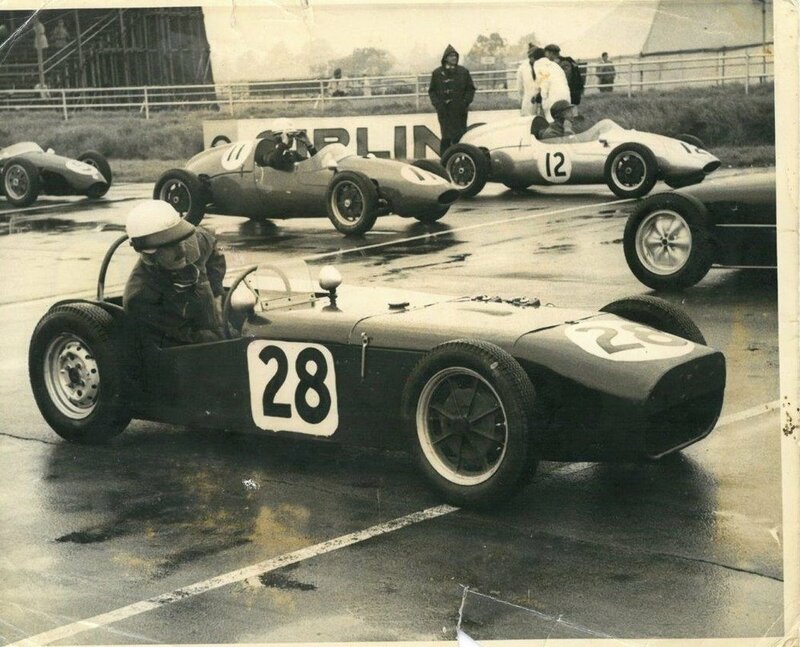 In 1960 he raced in Formula Junior in one of his U2 MK 2 cars, demonstrating his and his car’s speed by finishing second on the car’s debut at Oulton Park, starting from the back of the grid and setting fastest lap on the way. Arthur followed this up by winning the Formula Junior race at Silverstone on September 17th. Whilst much of this season was plagued by engine issues the year was rounded off at the Boxing Day event at Brands Hatch where Arthur finished in second place to the works Lotus 18 of Peter Warr. In 1962 he was the 1172 Champion in his MK2, now fitted with mudguards and an 1172 side valve engine, in 1963 he was again 1172 Champion this time in a U2 MK3. In 1965, he was a regular winner in the inaugural year of the Clubmans formula in one of his MK5 cars and in 1967 had a number of meritorious outings in his U2 MK6 Cosworth Twin-cam powered car in F2. Once his sons Richard and Raymond started racing, Arthur focussed his attention on helping them with their racing and in supporting, them in developing Mallock Racing into a more commercial organisation. Although he continued to compete competitively in his cars right up until the last year of his life. Arthur was responsible for the design of 30 different models of customer cars, from MK1 in 1958 to MK30PR which made its debut in 1993. The cars were known as U2s from 1958 until the moniker Mallock U2 was adopted in 1969; from the mid 1980’s most new cars were simply referred to as Mallocks. Each car was a gradual development of its predecessor and customers were often able to update the cars quite simply from one mark to the next. Arthur was always seeking ways of making his cars go faster, through constant development and continuous improvement rather than seeking “the next big thing”. When the family weren’t running a works car, Arthur would align himself with one of his customers to enable the latest developments to be tried and tested before being offered up to other customers. The early cars were used in the 750MC’s 1172 Formula, FIA Formula Junior and Formula Ford. From 1965 onwards the Mallock U2 became the mainstay of the Clubmans formula, a position the marque maintains to this day. Arthur’s cars have given many hundreds of engineers and drivers affordable access to very high levels of track performance, along with countless event and championship wins. Famous drivers who have competed in Arthur’s cars on track include Max Mosley, former head of the FIA, Patrick Head, joint founder and former Chief designer of Williams GP Engineering, Harvey Postlethwaite, former chief designer at March, Ferrari, Wolf and Tyrrell, and Andy Priaulx, former WTCC Champion. Arthur wrote many articles about his experiences of accessing motorsport affordably. For example A Poor Man in Search of Motorsport in Motorsport magazine October 1959 as well as technical articles in publications such as the 750 Bulletin, Car & Car Conversions and Race Car Engineering where he covered subjects such as race car set up and a particular area he was acknowledged by many to the leading expert, live rear axle location. His torque cancelling and anti-squat TAM (Trailing Arm Magic) system was described by him in Race Car Engineering magazine Vol 13 No5. His most advanced system for live axle lateral location which he developed with Miles Mumford was the Mumford link. He described this along with other systems in his article for the 750 Bulletin of March 1986. With Arthur’s first competition special being built in 1939, the Mallock family has a proud and rare history of continuous design, build and racing of competition cars which stretches back almost 80 years. Arthur made his first commercial chassis sales in 1958, so the marque will celebrate its diamond jubilee in 2018. Arthur’s eldest son Richard continues to run Mallock Sports, the company that was born out of Arthur’s hobby. This makes it one of the longest standing race car manufacturers still in business. Richard’s wife Sue Mallock is a partner in Mallock Sports as is Arthur’s eldest grandson Charlie who specialises in engine building and development. Arthur’s second son Ray independently founded Ray Mallock Limited, now known as RML Group, in 1984 and is now Chairman. Once Ray had set up his own business in the early 1980s Arthur greatly influenced the design of the suspension systems for all of RML’s early cars including the Ecosse C2, Nimrod C1, Aston Martin AMR1 and RML’s early BTCC Vauxhall and Opel cars and so played a fundamental roll in the establishment and early success of RML. Ray’s wife Elaine set up RML’s HR department in 1997 and remains a director. Ray’s son Michael continues the heritage; he is Chief Executive of RML Group and races various cars, including the Mallock U2 Formula Ford Mark 9. www.rmlgroup.com. Arthur, his sons Richard and Ray and grandson Michael have all won UK championships with Mallock cars. Arthur was invited by the board of the BRDC to become an associate member in 1982 in recognition for his contribution to British motorsport. Industry colleagues, race drivers and single-minded race-car engineers all respect the values which Arthur held and worked to all his life: Integrity, Sportsmanship, Fairness, Continuous Improvement. Arthur was a great competitor, both as a racer and as a designer and constructor. A generation of racing drivers were given the opportunity to race fast cars with superb handling thanks to Arthur’s designs. At a time when motor racing was a sport for the rich, Arthur was instrumental in making it accessible to ordinary folk. As well as providing affordable racing cars for them to pursue their chosen sport, Arthur was always willing to share his vast knowledge, experience and enthusiasm. Whether you were a raw novice with an old car, or an established ace with the latest design, Arthur would always offer sound advice to anyone who shared his love of the sport. It didn’t even matter if you weren’t competing in one of his cars. His contribution to motorsport is immeasurable. Arthur married Kathleen Mary née Bentley (known as Kay) in May 1940. Kay was a wonderfully kind (and patient!) lady who was very proud and supportive of her husband and children’s achievements, albeit always nervous when any of her men were on track. She was always ready with a cup of tea and a welcome for the many hundreds of customer visitors to Mill Cottage. Although Kay never learned to drive she was an enthusiastic passenger ’bouncer’ in the early days of Arthur’s Austin 7 trials competition. When the family lived at Hartley Old Rectory, Longfield near Kent and with no welding facilities of his own, Arthur had to often enlist the help of Kay to carry the steadily growing chassis to the local welding shop. Often this was done under the cover of darkness so the neighbours couldn’t see what was going on! Kay passed away 3 years after Arthur. Arthur and Kay’s eldest child, Carole, after leaving college worked at The Diplomatic Wireless Service at Hanslope Park which was adjacent to Arthur’s place of work at HMGCC before moving to London to work at New Zealand House. At this point in 1967 Carole chose a different path in life, became a nun and entered the Order of St Vincent de Paul as a Daughter of Charity. Arthur and Kay’s second daughter and youngest child, Susanne worked full time for Mallock Racing from 1979 until 1994 where she managed the office, stock control and purchasing, responsibilities which included deciphering Arthur’s notoriously untidy handwriting to enable her to type his letters when answering customer endless questions/queries. She went on to marry race car driver and engineer Bill Stone, then in 2002 they retired to New Zealand. Bill passed away in 2012 and Susanne then married Simon West in New Zealand in 2015. Arthur loved cycling and skiing, he was a competitive road cyclist before the war and continued his cycling throughout his life. He learned to Ski as a teenager, a skill which enabled him to teach his ski regiment during the war in preparation for a special mission in Finland. After the war he was captain of one of the Army ski teams. He continued to ski into the last year of his life and organised the ‘Clubmans Ski holiday’ in Europe for Clubmans Formula drivers, helpers and families for 10 years before Richard’s wife, Sue, took over and continued to organise these ski trips for a further 26 years.